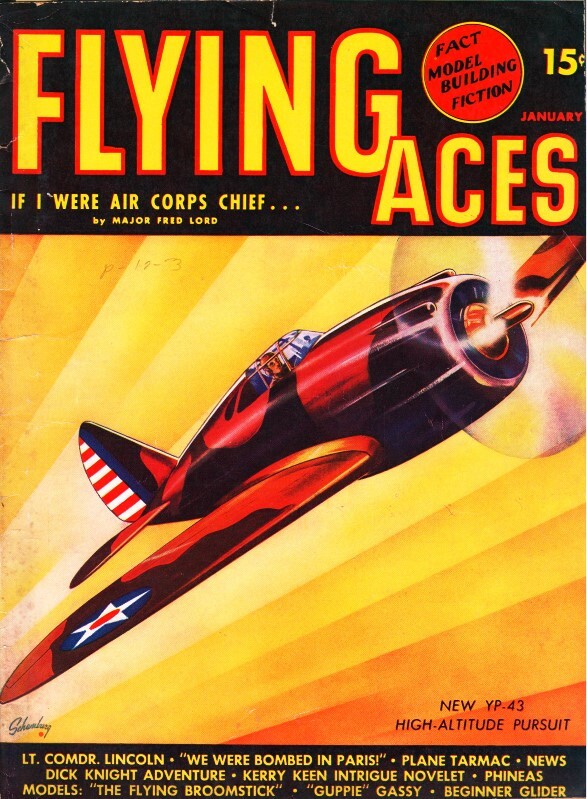 People try to sell these advertisement pages from vintage magazines on eBay all the time - usually for ridiculous prices. It's hard to believe anyone actually pays for them, but there must be enough to make it worth while for the seller to go to the trouble of photographing and posting the pages. 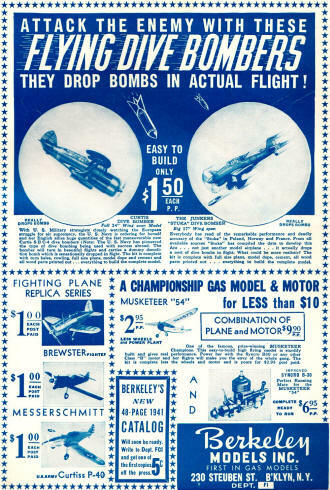 If you are satisfied with either viewing the page online or printing out a copy for your hobby room wall or scrapbook, then search through the AirplanesAndRockets.com website to find many instances of vintage advertisements (see list at bottom of page) - and I'm adding new - like the full-page ad by Berkeley Models, ones frequently. 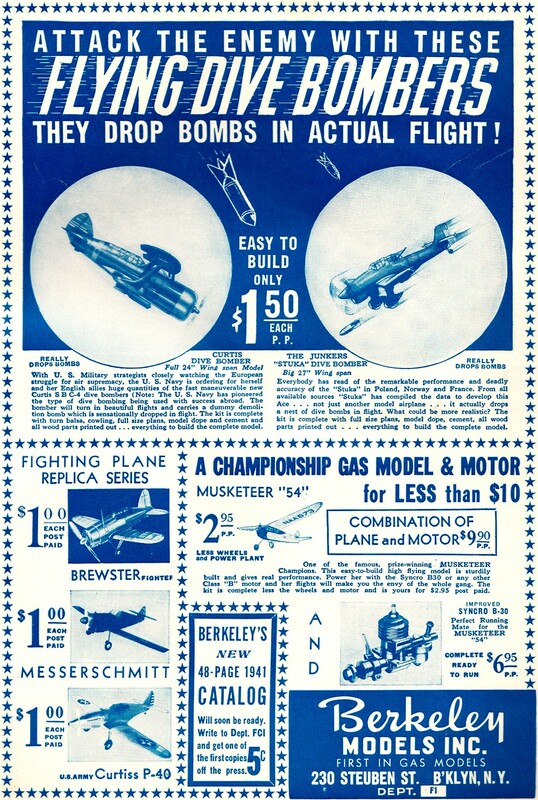 Here are two other Berkeley Models ads from the December 1954 Air Trails and July 1957 American Modeler. Use the U.S. Bureau of Labor Statistics' inflation calculator to see what items cost in today's dollars.